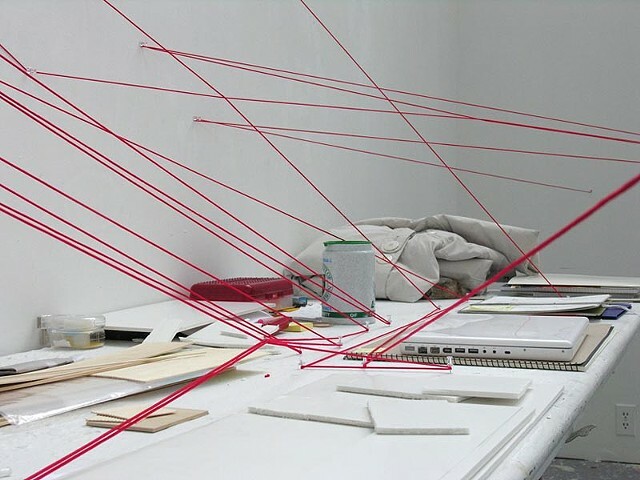 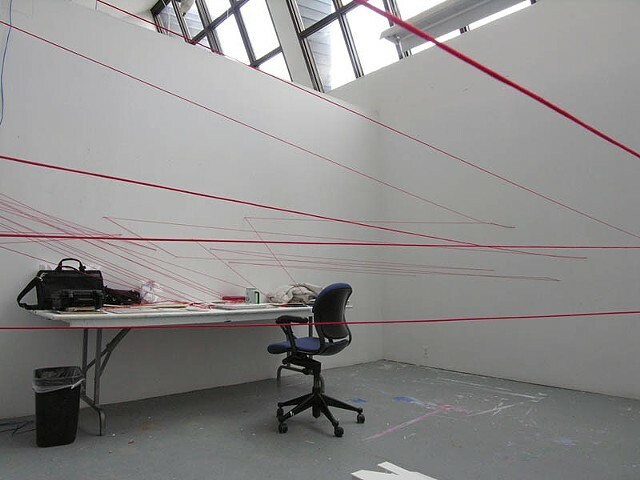 Red strings are installed throughout the studio spaces by tracing the movement of my body during one month of residency as part of a series of works on space, body and flow of time. 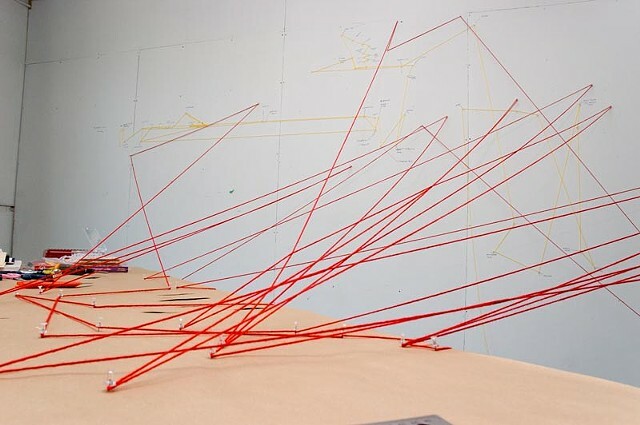 Temporary courses of sensory experiences, such as movements of body and traces of gaze are converted into tangible three-dimensional drawings of strings. 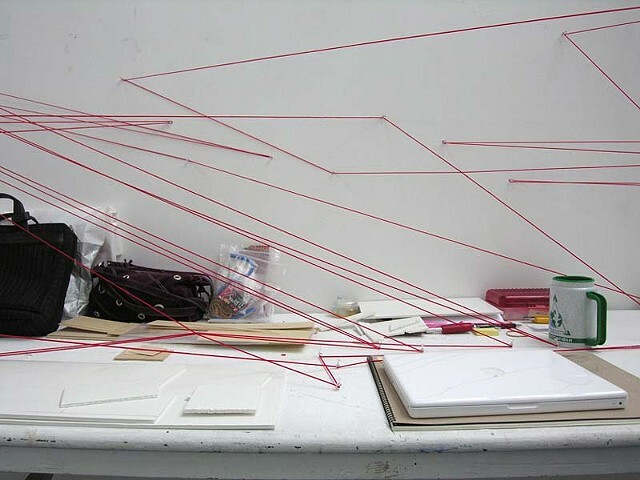 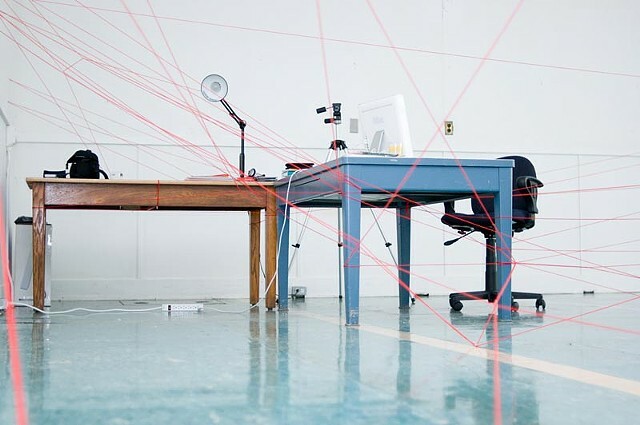 During the open studio event, the viewers had to cross over and under the strings to walk around the space, adding their own invisible lines of movement to the installation.